Brand representation is rapidly changing. The audience and its expectations are diverse as ever and with that, the industry of public relations is rising to the task with a workforce that is as diverse as its audience. However, when it comes to reaching a modern audience, is it more important to see different cultures as barriers to cross or rather as opportunities to unite? Three brands have taken the creative initiative to bring their consumers together while simultaneously appreciating the beauty of a diverse audience. 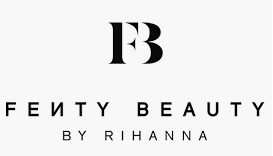 Answering the call from consumers for beauty products that appeal to all consumers regardless of race or ethnicity, Rihanna debuted Fenty Beauty’s flagship collection under the mantra “Beauty for All.” This comprehensive line offers products tailored to nearly every skin tone imaginable. The true genius of this trend-setting move is that beauty consumers had been clamoring for a change in shade exclusivity for decades and finally, a product offered a solution. Rather than tacking on non-Caucasian shades as an afterthought, Fenty Beauty ran a campaign with a minimalistic aesthetic focused on promoting the unique beauty of each individual using the product. Marketing that targets a particular demographic can often times feel forced. This new set of ads from Fluent360 Chicago on behalf of State Farm, while aimed at Asian Americans, showcases an ad that is humorous while combining a multi-linguistic ad. Far from feeling like a niche ad, this representation is fresh, light and accessible while remaining true to the brand it constitutes. An interesting trend in the American marketplace at the moment is the demand from consumers for brand representation to take a stance. One exciting development along this thread is the utilization of a patriotic anthem “This Land is Your Land” in a Johnnie Walker ad. However, the song is given new meaning when the band Chicano Batman performs it. Again, we see a brand move to appeal to the whole of its consumers by representing a culture that is not typically considered mainstream and doing so in a manner that is refreshing and honest. These campaigns—and their ensuing success—enforce the idea that brand representation is no longer mainly happening in a segmented, cross-cultural way. As global citizens, there is a recognition that no one is cut from only one cloth, and when we as future practitioners recognize the beauty of a multicultural and inclusive approach in the media, in the workplace and in life, everyone wins. Elissa Butler is a member of the 2018-2019 Editorial Team. A senior corporate communication major at the University of Texas at Austin, she serves as VP of Professional Development for her chapter of PRSSA. 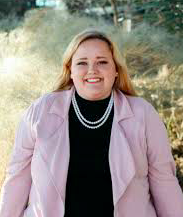 Connect with her on Twitter as @theelliebutler or on LinkedIn.